Alessandro Mendini is an architect, artist and designer who joined the Alchimia Studio in 1979, where he upset functionalist designers by designing objects for sheer artistic pleasure and by referring to popular culture as "kitsch". His Anna G. icon, with her ever-smiling face and short bob, graces many of Alessi's most beloved products. Rumour has it, that Alessandro Mendini based the character on one of his ex-girlfriends...but whoever Anna is, you'll never grow tired of seeing her friendly face smile around your kitchen on this spoon - in fact, we hear that her grin is rather contagious. 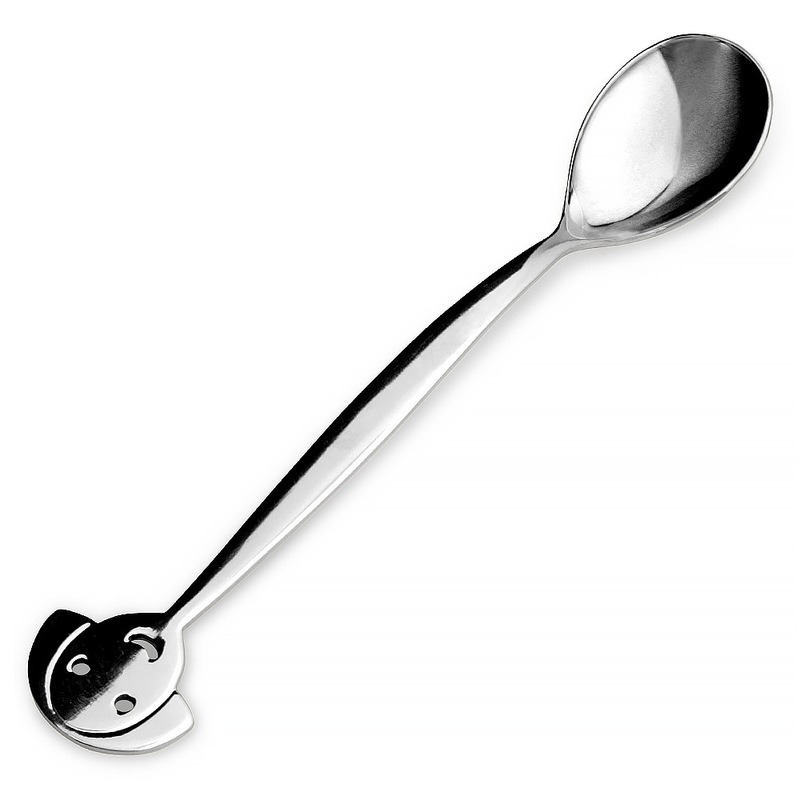 This gorgeous spoon is made from durable stainless steel, with a polished finish that will suit any modern kitchen, so be sure to clear a place on your dining table for Anna G.
Designed in Italy by Alessandro Mendini. Made from durable 18/10 stainless steel, with a polished finish. Features a quirky Anna G. design.